﻿ Raya Heritage, Chiang Mai | FROM $250 - SAVE ON AGODA! "Perfect relaxing atmosphere in the resort." "Very calm, stylish, and good for relax." "We love the staff service there, they all nice and always prompt to serve you best." "Hotel itself also very nice and well-decor." "The terrace room was perfectly conditioned and beautifully d..."
Stay at the Raya Heritage and treat your loved ones to a lavish and unforgettable vacation. The property offers a variety of useful services, which include a concierge, laundry services, daily housekeeping, and luggage storage and has a doorman, providing a pleasant and friendly welcome every day. It is equipped with air conditioning for your comfort. The Raya Heritage has river and garden views available, which means you can unwind while looking out at the stunning scenery. With a smoking area and safety deposit boxes, the Raya Heritage has numerous convenient features to make your stay more comfortable. The property has free Wi-Fi in all rooms, in addition to Wi-Fi in common areas, so guests won't have to worry about buying a local sim card. When you wake up, treat yourself to a free, delicious breakfast. It has a bar, restaurants on the property, and room service for you to enjoy during your stay. 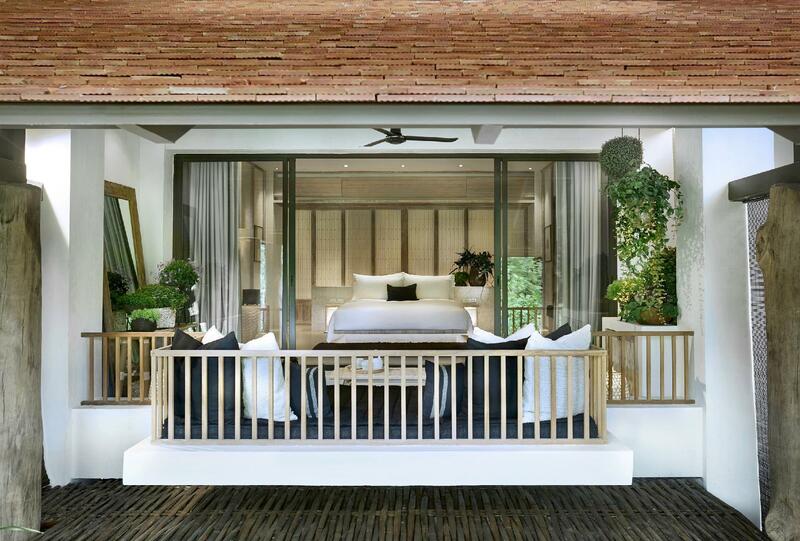 The Raya Heritage has a fitness center, a garden, a spa, and an outdoor swimming pool among other great facilities. If you want to spend your day simply relaxing and unwinding, get a massage nearby. The Raya Heritage offers check-in from 02:00 PM until 10:00 PM and check-out from 07:00 AM until 12:00 PM. This property gives you access to a range of transportation options, such as airport transfers and shuttle services. The nearest airports are Chiang Mai International Airport (CNX) and Pai Airport (PYY), which are 9.1 km and 81.7 km away. Chiang Mai Railway Station is 7.9 km away from the property, making it easy to get anywhere you want to go. "while the room was nice and breakfast was great." Breakfast is only served at Khu Khao restaurant. The property do not serve breakfast in guest rooms. 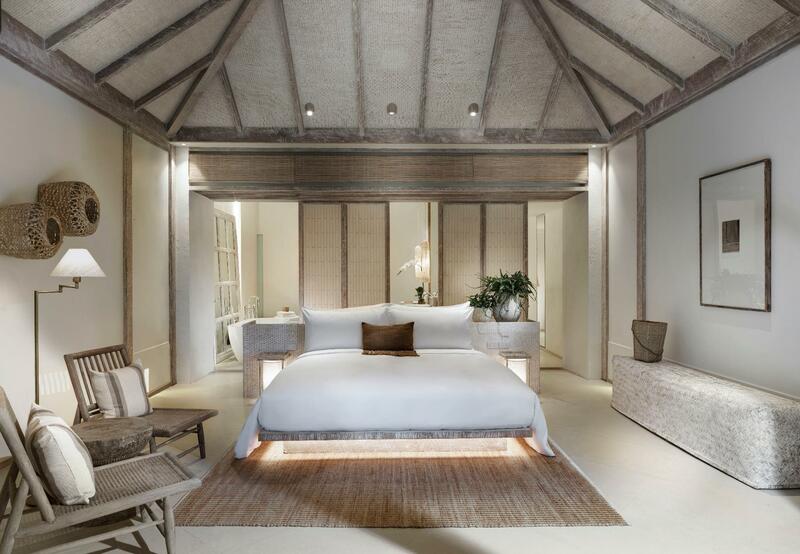 This hotel was seamless and every finer detail had been thought about, creating an extremely relaxing sanctuary where you feel away from it all. The staff were amazing and very attentive dealing with any queries or requests immediately. Having stayed in many top hotels in Thailand this one is definitely up there. We booked Raya Heritage after we had heard great things about the property. From the moment we arrived to the moment we left the service was fantastic. The staff were so friendly and professional, they made our stay very memorable and personal. The variety of food on the menu was perfect and each dish was delicious. The breakfast was fantastic! We ate outside on the terrace each morning and all you could hear were the birds chirping. It was so tranquil. Our room was very spacious and clean. 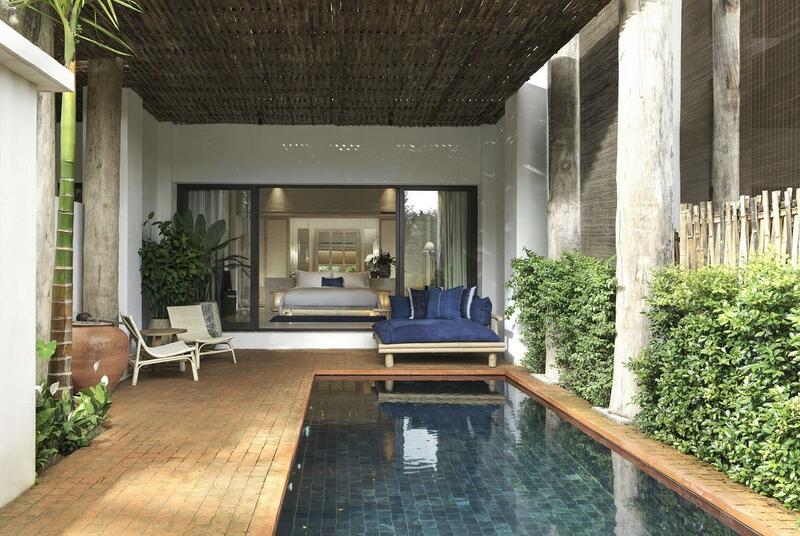 We opted for the private pool villa for extra privacy but still used the main pool throughout our stay. A shuttle bus was available to take us into Chaing Mai each day - we only went on one out of the four days we were staying as we were very happy sitting around the pool. I highly recommend this hotel - it was a wonderful holiday with lasting memories. We stayed here for the weekend and totally loved it! since the first step to the hotel. The level of the service here is really high compare to other hotels. Food they serves is quite unique and authentic. Attention to details in term of design, the room is spacious and cosy. By far best hotel in Chiangmai. The overall atmosphere was simply stunning, whole experience was superb, Tim was a gem for the company, he is very accommodating and took time to arrange a birthday surprise for us, which we appreciate a lot. Staff is very professional in every way. Bedroom earthy tone, interior and the bedding was so comfortable. In-house restaurant serve authentic Thai cuisine and breakfast was wide spread of western asian mix. The only down side would be the location, far from town centre, but they offer free shuttle service available at selected time. Thanks for whole Raya team management, we enjoy our stay and will return on our next visit. We love the staff service there, they all nice and always prompt to serve you best. Hotel itself also very nice and well-decor. Situated in the right next to the river made us fell really relax. Breakfast is also good, lots of choice and come in good presentation and good taste too. Our stay at Raya Heritage was absolutely amazing. The rooms are just, if not more, beautiful than the pictures. The staff go out of their way to make sure you have a great stay and everyone seems to know your name. We spent a day just lounging at the hotel because it’s so beautiful and peaceful which is not something we usually do when traveling. The only con is that you’re a bit outside the city but they offer a free shuttle to take you into down. If you’re visiting Chiang Mai you need to stay here! Brand New and set amongst the river, there are no flaws except the lack of facilities as it is still under reno. The breakfast is to die for and Ploy, the waitress/singer amazing service. Thank you for the tropical fruits every day and the natural surrounding where i thought i was a chiang mai local. The service is 5 stars both reception, security and management. I will be back! The best bed mattress and sheets - in my eyes better than the best four seasons worldwide. It's a hidden gem I don't want to go anywhere else. Truly outstanding meals, sincere hospitality, and gorgeous spa experience. I want to thank my butler ’Duen’ and all the staff again. Definitely will be back! We’ve stayed at a suite with a private pool for 1 night. We simply just loved it, the spacious room, the tranquil hotel environment, and the beautiful river scenery nearby. We’ve tried the food at the Hotel restaurant, a little bit too spicy for us, but overall high qaulity food. More choices can be offered though. In-room dinning is excellent, even more choices, and less expensive compared to the restaurant. Enthusiastic and helpful staff with good English. We will definitely come back next time visiting Chiang Mai. Beautifully designed hotel in lovel rural setting by the Ping River. The lovely outdoor terrace was perfect for relaxing after a day of driving around. Beautiful details and touches everywhere. We will be back! We visited during soft opening. It is about 15-20min by car from old city. The hotel offers a free shuttle service. The staff were all friendly and the hotel was more than four seasons hotel. You can swim while looking at the Ping River. The breakfast is what i want. There are various kinds and tate is good. You can enjoy a quiet recreation. I love the design, interior, decoration, and service. Bed is very comfy. There are all amenities you need. Breakfast is superb. Location is a bit out of city center, yet convenient for who drive. It’s about 20 minutes far from airport and city. We highly recommend Raya Heritage. They have successfully created the perfect relaxing atmosphere in the resort. The room and its surrounding is so comfortable that we just want to stay there the whole day. It’s a new hotel open in April 2018, everything you see here is new and beautiful. Once you step in the hotel , nothing can go wrong . Staffs are very friendly , the room is more beautiful than what u see in the picture, hotel asked me the arrival time and they arranged everything ahead: turn on the A/C, light up and use essential oil to make the room smells good... I had really great time here , it’s a place I’ll definitely visit again next time !! Impressive design and service. Great location by the ping river and reflects the term of "sanctuary" claimed by the hotel. (own vehicle required to move around). Breakfast was one of the best we ever had with great selections - local and international, served by a la carte menu style (doubt if it will be too busy and slow in peak season) . Will recommend to anyone (already did actually) . Love it and it is has become our most favorite place in Chiang Mai. will definitely return there. we chose pool villa which is definitely a right choice, the color tone of the room is pretty cool,the staffs are very nice,we took many photos of the room! the breakfast of the hotel also delicious and got many choice, but it is not the typical buffet style. the swimming pool of the hotel is next to the river, but the river view is just solo, if u want to enjoy swimming,u definitely need to choose suite with own pool.